The Dollywood Summer Celebration is just like it sounds, an exciting celebration of the summer season with extended park hours, awesome summer entertainment and incredible fireworks! The entertainment headliners include Drumline Live, a synchronized musical masterpiece based on the 2002 hit movie Drumline, as well as America’s Got Talent finalists iLuminate! This group brings their electrified glow-in-the-dark costumes to perform dynamic dance routines and illusions! Guests will also get a chance to experience Paint Jam, which captivates audiences with the art of speed painting. The longer park hours give you more time to experience Dollywood’s thrill rides such as the Lightning Rod roller coaster and the Drop Line free fall tower. The night comes to a spectacular close with a festive nightly fireworks show set to uplifting music that celebrates the fun of Dollywood after dark! The Dollywood Summer Celebration runs through the peak of the summer season, kicking off on Saturday, June 16 and running until Sunday, August 5. 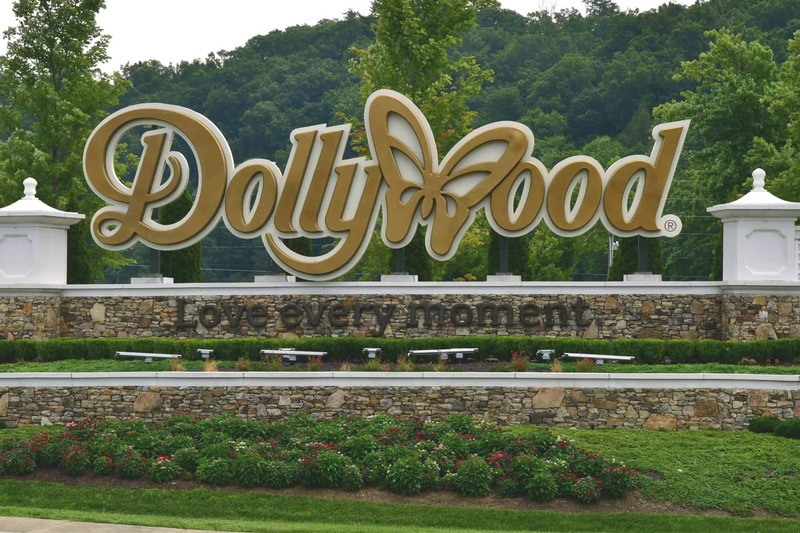 While the park is open daily throughout the summer, be sure to check the official Dollywood operating schedule for the exact hours on the date of your visit. The performances that are included with the event take place at various times throughout the day, so remember to pick up a show schedule when entering the park! One of the best things about attending the Summer Celebration at Dollywood is that it is included for free as part of your paid admission into the park! There are a variety of Dollywood ticket plans available, such as multiple day tickets and combination tickets that include admission into Dollywood’s Splash Country water park. If you are taking an extended vacation in the Smoky Mountains and plan to visit Dollywood often, you may want to consider a season pass for the best deal! Stay close to the excitement of the Dollywood Summer Celebration with a vacation at Aunt Bug’s Cabin Rentals! Our affordable cabins range in size from 1 bedroom to 8 bedrooms so that we can easily accommodate families and groups of all sizes! We even offer a selection of pet-friendly cabins so that you can bring your beloved pet with you on vacation in the Smokies! While staying with us, enjoy stunning views of the mountains that have to be seen to be believed! Our cabins also feature plenty of awesome amenities for you to enjoy, including fully equipped kitchens, hot tubs, game rooms and much more! Check out all of our cabins in the Smoky Mountains today to stay near the Dollywood Summer Celebration! We look forward to seeing you this summer at Aunt Bug’s Cabin Rentals!